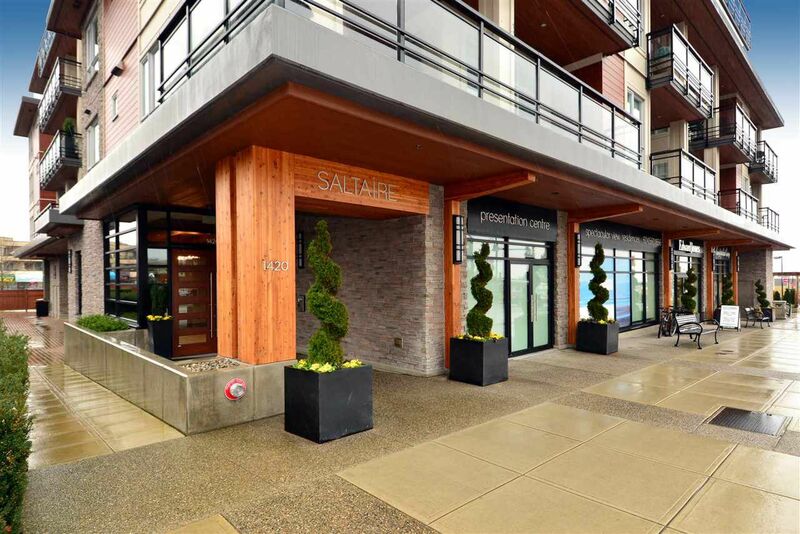 Welcome to Saltaire in the heart of White Rock. 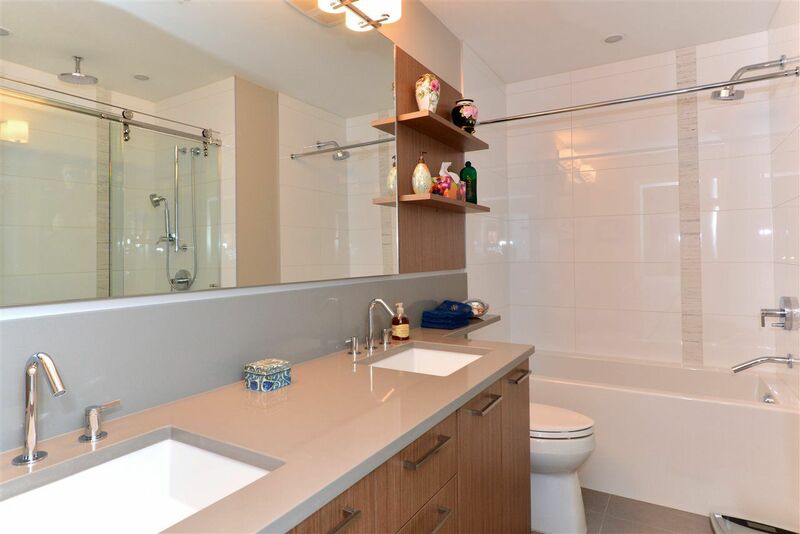 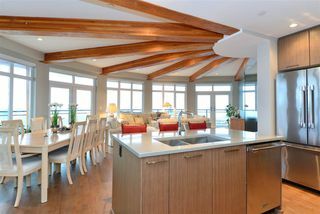 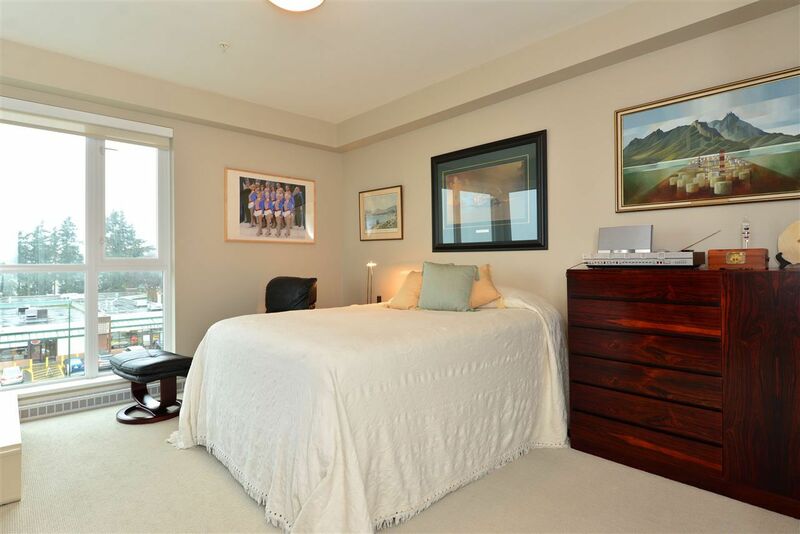 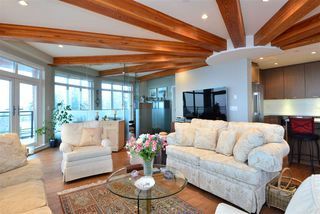 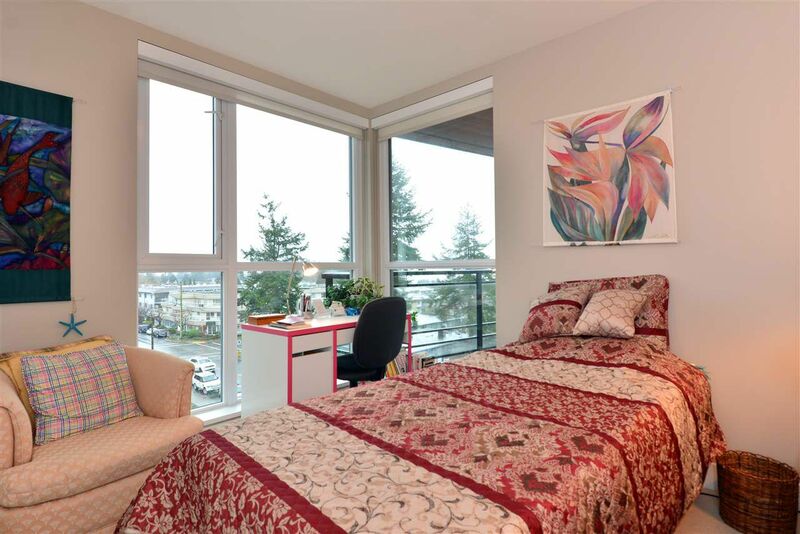 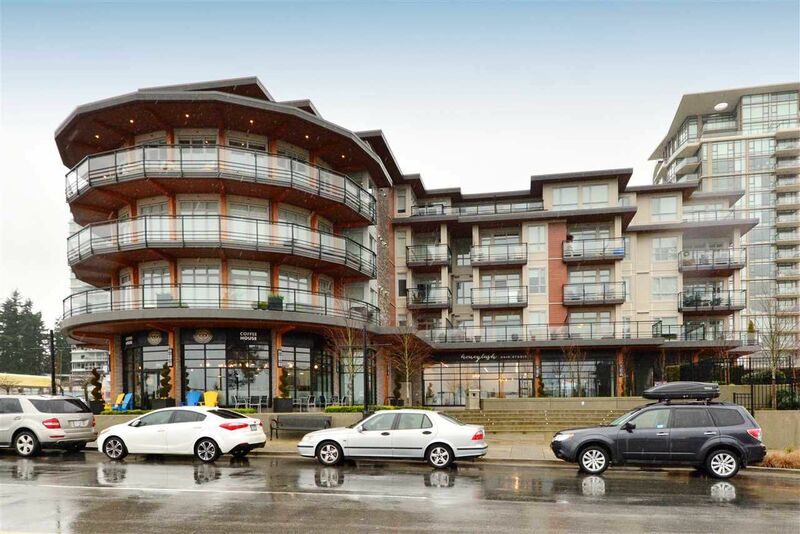 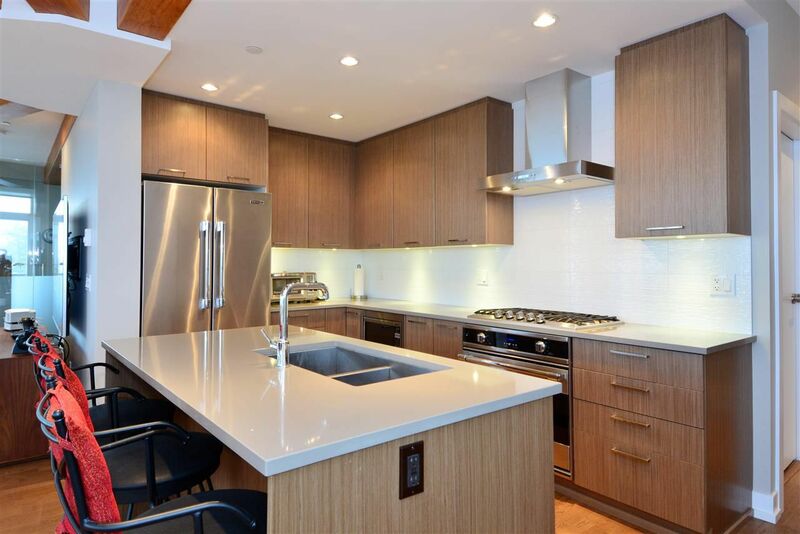 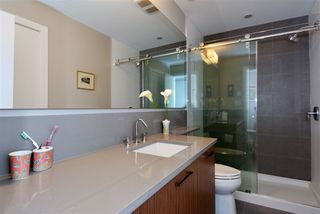 This 1350 sq foot sub-penthouse condo is the ultimate in beautiful, contemporary open concept living. 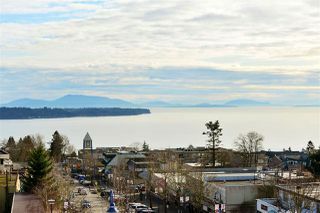 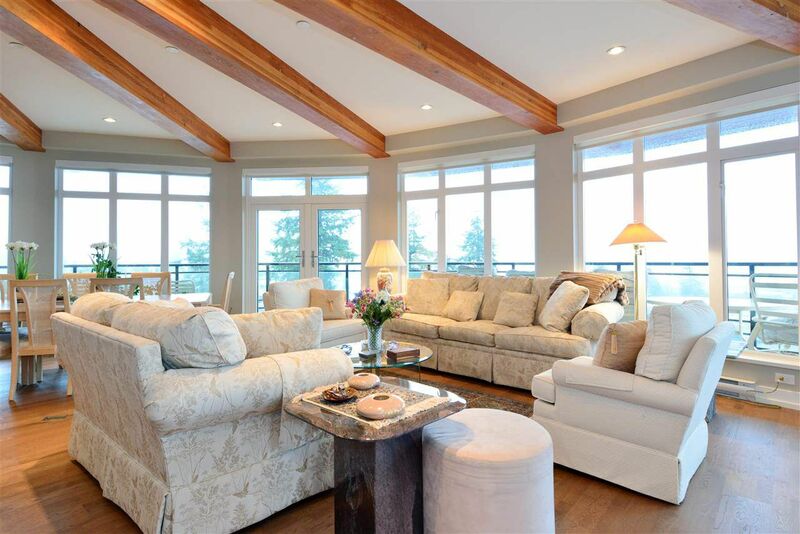 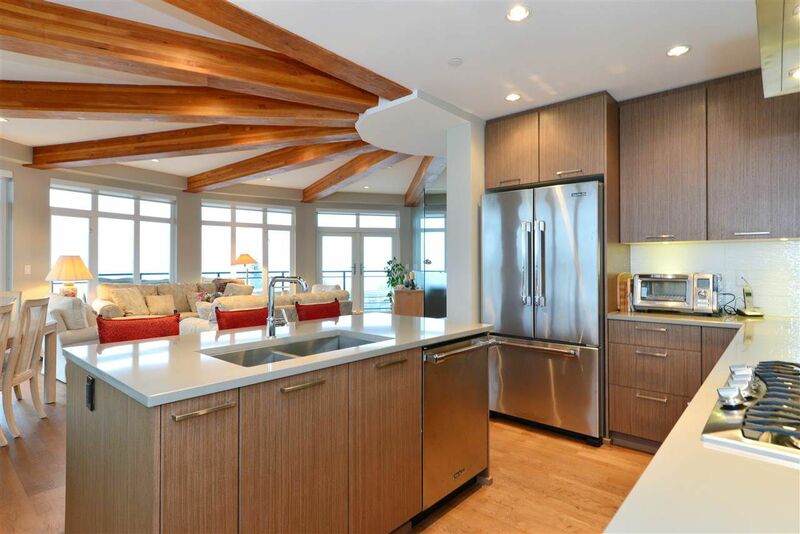 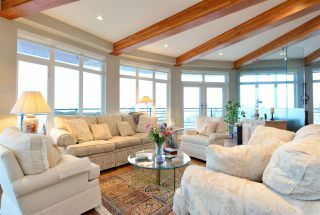 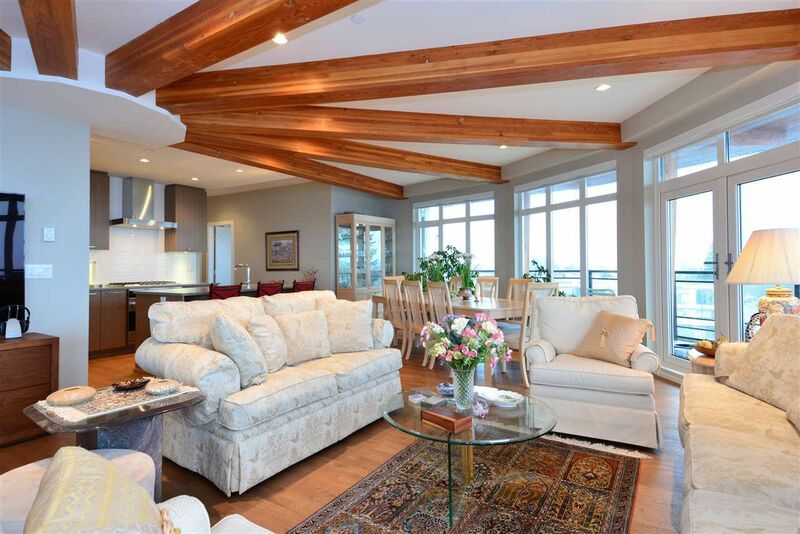 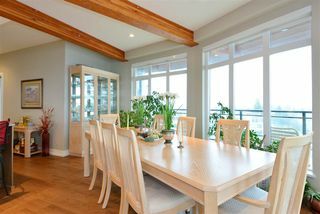 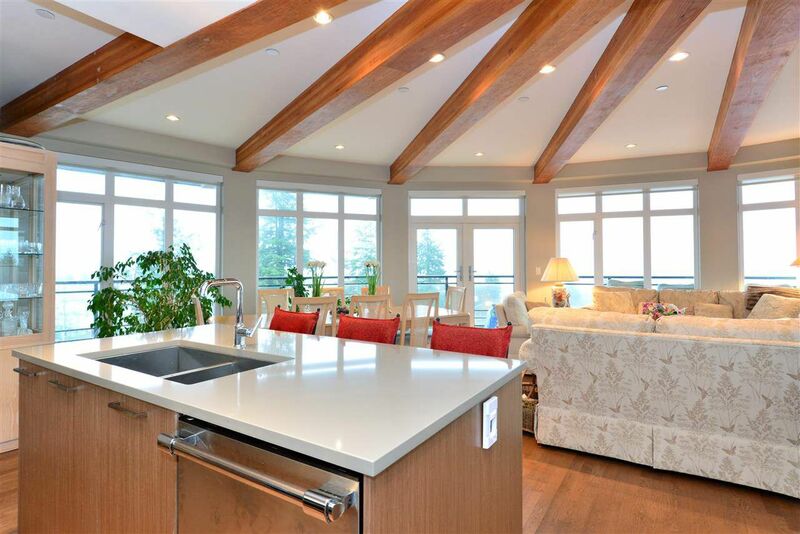 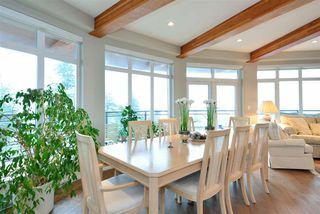 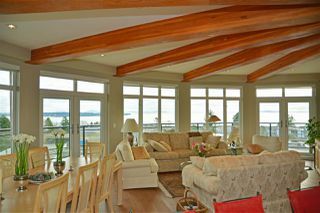 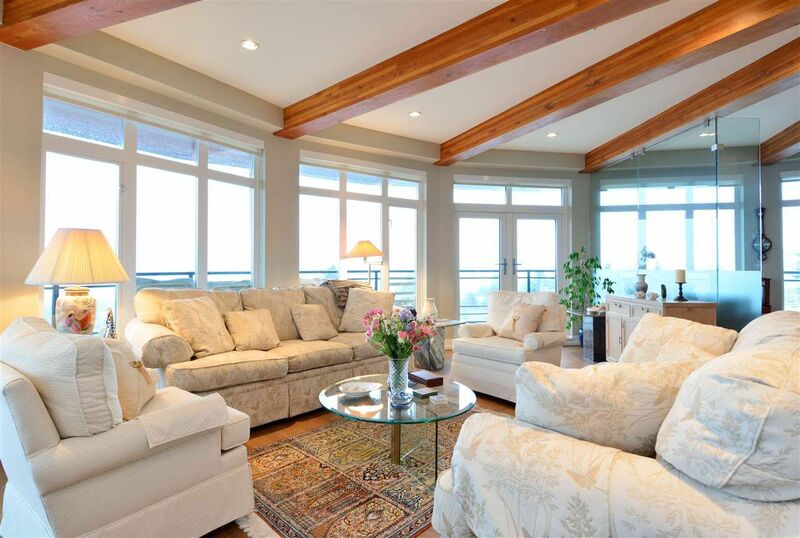 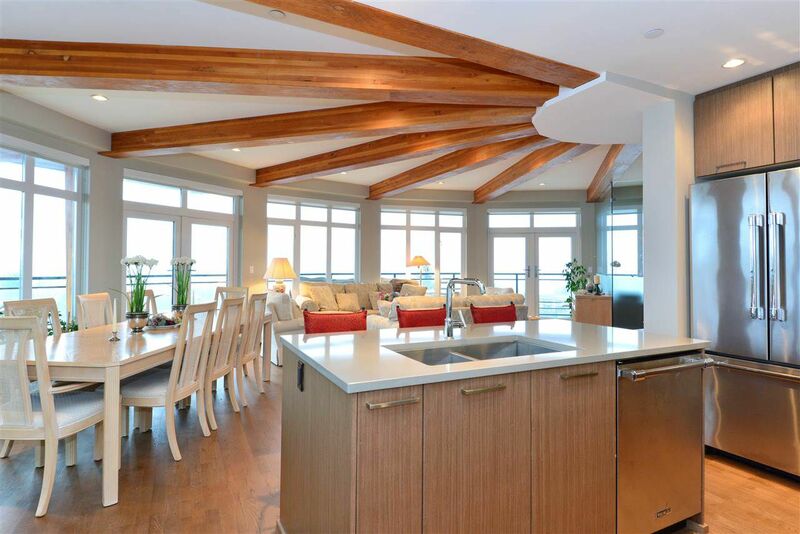 Enjoy sweeping 180 degree views of Semiahmoo Bay from the floor-to-ceiling windows and expansive wraparound deck. 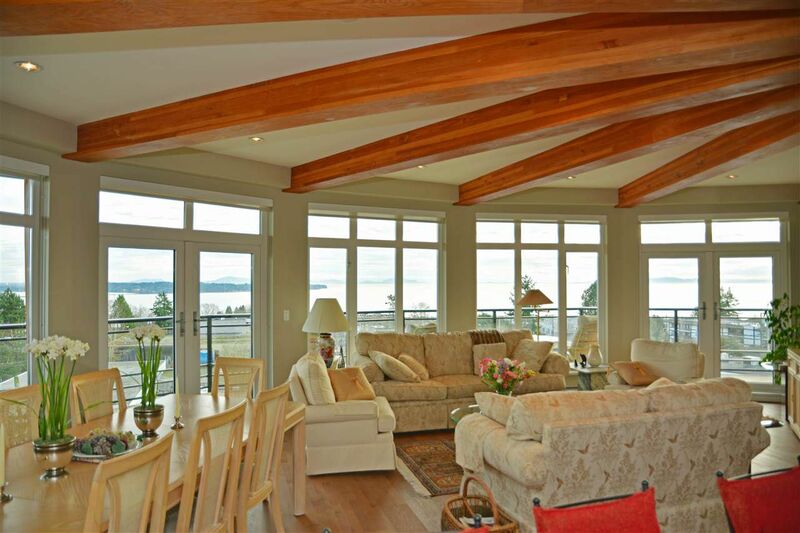 9' ceilings with gorgeous timber beams add stunning architectural detail. 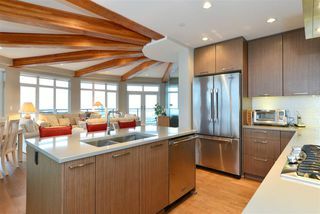 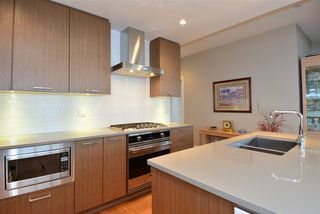 Kitchen has quartz countertops, generous depth breakfast bar/island and Viking stainless appliances. 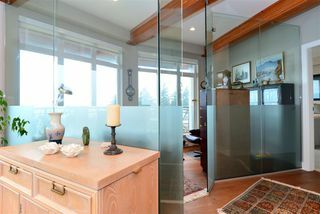 Office is surrounded by glass walls and windows. 2 bedrooms and 2 bathrooms. 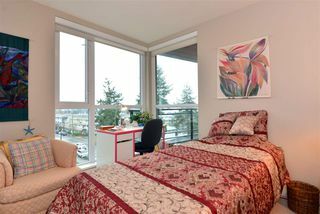 Pets allowed (1 dog or 1 cat), no rental restrictions, no age restrictions. 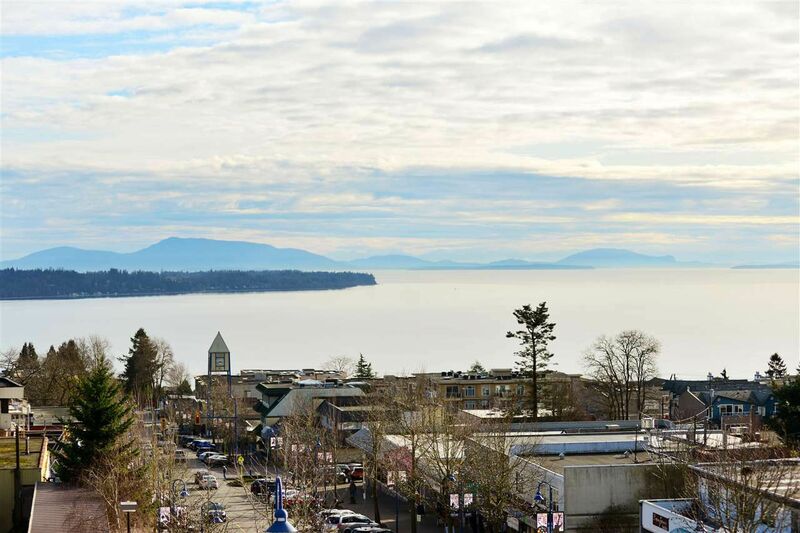 White Rock Elementary and Semiahmoo Secondary catchment.